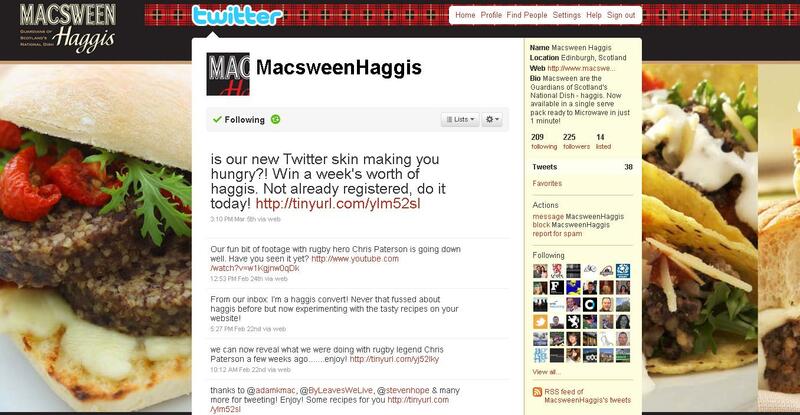 We have created a new Twitter skin for Macsween Haggis and a few of you have sent us messages saying that it makes you feel hungry just looking at it! That’s good news! If you haven’t already done so, answer our 3 easy peasy 6 Nations questions on the site and you could win a week’s worth of lovely Macsween 1 Minute Haggis – and with lots of recipes and pics to go with it, we are sure you will enjoy your prize! The only slice Chris Paterson likes is…..Macsween 1 minute haggis! Chris Paterson, Scottish and indeed World rugby legend did a wee shoot with us recently for our lovely client Macsween Haggis. Check it out below…..and if you haven’t done already take some time to find out about the most delicious haggis in the land! Gmail Introducing a new feature? Google is about drive another of its products in the realm of social media. Gmail will soon be evolving into a content and status update tool for you and your friends. It has been rumoured that these features are due to be implemented onto the product soon, with announcements imminent. The biggest anticipation will be around, will the new feature target Google owned products such as YouTube, or be opened out to popular social media sites such as Facebook or Twitter. Gmail has been primarily based around email contacts, Gmail saves all email contactsinto a contact list to enable functions such as Gmail chat; what the key issue here will be how will Google develop that relationship between your email contacts and those you actually want to share your status timeline with? The world of social media waits anxiously for the official announcement from Google until then everything is guesswork, however with Google driving one of its biggest products, this new feature is expected not to disappoint. The “real-time” web or “real-time” search results and social media are something that is becoming synonymous with modern day search. But what impact is this having on the social landscape. Never before have had we had such information available to us with content and information no longer running in “traditional formats” such as television or newspapers. In the modern technological age of the internet, news can surface from thousands of sources including twitter, blogs and social networking sites. The digital landscape has evolved and what we now deem as news and how we share that news has also evolved. We are now in the era of citizen journalism where the news is factual or non factual, real time information, updates and feeds from events are being distributed to the world. We no longer have to wait until the mid evening news bulletin, or the first edition of the national newspaper to get the latest news; we are getting news updates whether we want it or not. With the integration of real time results into Google organic listings; Twitter updates or (tweets) are a primary source of information. Take the Fort Hood shooting last year in the United States of America. This army base was ordered into lock down and army workers and soldiers were instructed to have no communication with the outside world. However, one soldier took it upon herself to send twitter updates with “blow by blow” account of what was happening within the base. Traditionally this information would never have been available to the outside media, there would have only be an “official statements” from army officials. So from this one soldier, the world’s media and indeed the world were told of a terrorist attack within one if its own army bases. It was only after Twitter updates were released that CNN picked up on the story and the world was then informed of key events. Later it was discovered that the soldiers chain of events were in fact untrue, however by that point the world didn’t care, they just wanted the story. YouTube has been a long standing source of entertainment for internet users; however a more sinister aspect of the channel is videos appearing of a more disturbing nature; take the example of the shooting of Neda Agha Soltan’s a young Iranian woman gunned down in the middle of a busy street, due to her political outbursts around the government of Iran. The world’s media were prohibited from filming in Iran so therefore no official media source could have captured the video of the shooting; however, the brutal killing was videoed and shared with the world. The world’s most popular website; with over 250 million users most of us on a daily basis in fact for some this is their first activity when they wake up. This was certainly the case for two twins from Sydney, Australia. Being their birthday they woke to check their Facebook, expecting multiple birthday wishes from friends, however this day they were met with a more disturbing message. Their live feeds where bombarded with “RIP Bobby (their brother) and RIP Chris Naylor (his friend). To their shock they contacted their mother who in turn called the Police, who confirmed every mother’s worst nightmare, that her son Bobby and his friend Chris have been killed instantly in a car accident the night before. Such is the growth of social media that the Police official chain of command could not reach the mother or the family prior to the viral effect of the web kicking in. All three examples are very different but all contain the same message; the world has to evolve with online developments. The internet is growing at an unstoppable rate and with it so is social media and real time information. There is still a need for quality journalism and quality news however users expectations are changing and at the moment offline publications are not meeting that demand. Official sources such as news broadcasters, governments and judicial departments have to understand that they have to move with the pace of change or risk being left behind. Social Media and Real Time will continue grow the question is how long will it take offline channels to catch up. The Storm digital marketing team are very excited at the prospect of filming with Chris Paterson (the Scottish rugby legend!) tomorrow at Murrayfield. This is for client Macsween Haggis to promote the new 1 minute haggis product and we hope to have some great footage which will be available online soon. Watch this space! In the meantime, if you’ve not registered on the Macsween site already – be quick! If you are among first 500 to do so since Monday, you will get 10 packs of delicious 1 minute haggis! Yummmmmm. Was the last time you tweeted before Christmas? Have your blog posts got lost in the post? Can you no longer face Facebook? All that virtual socialising seems like such a chore once the novelty has worn off. But have no fear, those helpful chaps and chapesses at Google have come up with Google Xistence – the answer to your prayers. Now you can lead a full and complete virtual life, virtually. A tremendous parody, Google Xistence claims it will post updates for you, make friends, tweet and take all the pressure out of being someone. Now you can play Warcraft, watch endless HBO box sets and generally footer with impunity, knowing your virtual self is in safe and ubiquitous hands. Perfect Storm join Storm ID! We have some exciting news at Perfect Storm for a Tuesday! Some of you may or may not be aware of the fact that Storm ID (leading full service digital agency) had a shareholding in PS. 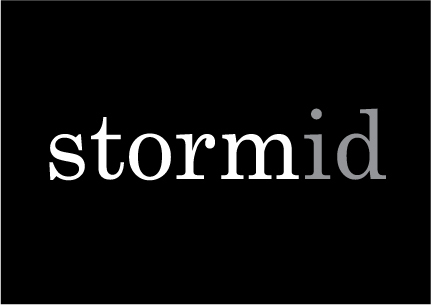 Well after a very successful financial year for Perfect Storm and some even more successful projects, many of them joint projects with the guys at Storm, we have decided to become a fully fledged brand spanking new division of Storm ID! We still have the same great staff working across search (paid and natural), social media, media planning and buying, affiliates, lead generation, eCRM, strategy and creative, we are now just part of a much bigger team! The new digital marketing team has been set up alongside the existing specialist divisions within Storm ID – business, creative and technical. So, same great service, same faces but we now have a whole new set of colleagues who are all pretty much gurus in what they do, which means we have some great expertise to draw on when we need it. We have also worked with Storm on many joint projects over the past couple of years and so it feels like a very natural progression for PS. And since the start of January, we have already been working away on new projects and clients as Storm ID so all is good! We will continue to work from our West End of Glasgow office in Haugh Road but will now be also working in Storm HQ at the Corn Exchange in Leith for part of the week. So, business as usual, just a slightly different name and a whole new set of digital colleagues!